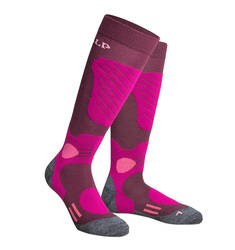 Bring the Alps home with CimAlp's durable hiking socks and mountain walking socks. Our hiking socks have left foot/right foot ergonomy and a heel and toe in CORDURA that is 4 times more durable than polyamide. 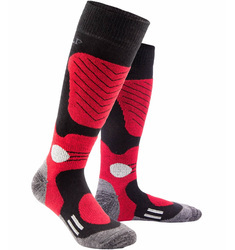 Our performance hiking socks also contain merino wool to reduce odour and have anti-blister technology for added comfort.